Extra large suction cups with large hook. Suction Cups Direct. Adams 85mm diameter suction cup with large hook is rated to hold up to 10 pounds (4.5kgs) in weight. 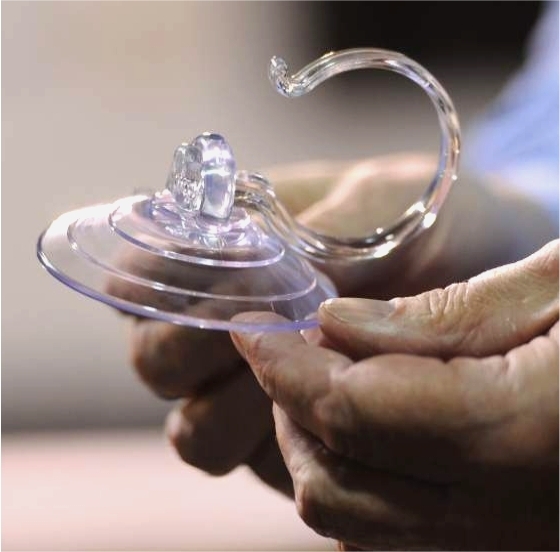 The Polycarbonate hook measures 48mm internally at rest. This product can be used in window displays and is ideal as a Christmas wreath hook. Fix Adams giant suction cups to glass or clean, dry, flat, slick/shiny, non porous, non textured surfaces like mirrors, glossy plastic, glazed ceramic tiles etc. 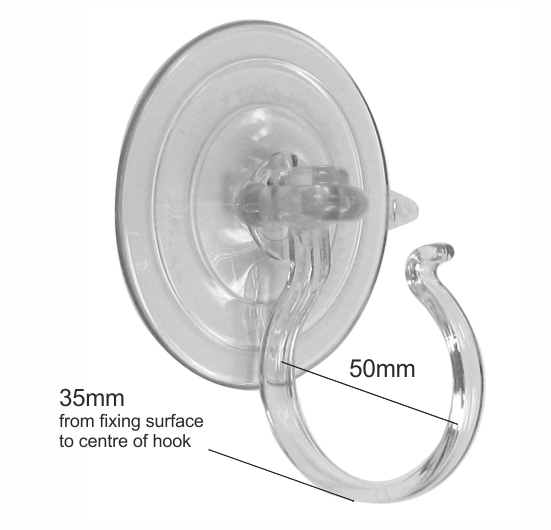 This suction cup is also available with a standard hook to hold 11kgs (25lbs).